Beier Machinery specialize in providing you with plastic recycling machine for PE,PP,PET,film,plastic granulator,plastic pelletizer. 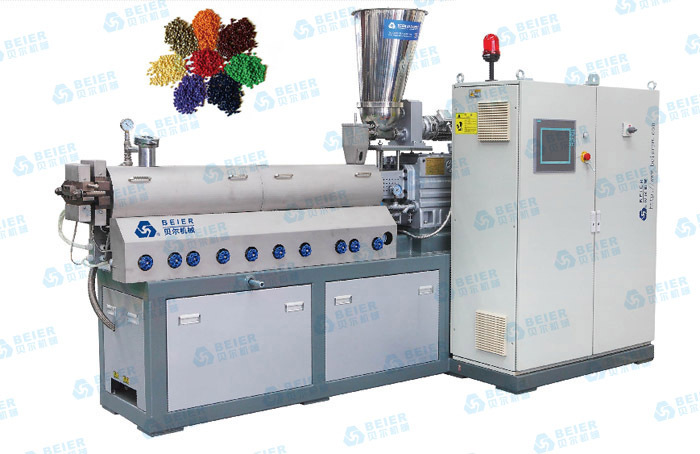 TSK Parallel twin-screw extruder plastic granulator is a kind of high-efficiency compounding and extruding equipment. Its core section is composed of “00”type barrel and two screws, which mesh with each other. Plastic granulator also has driving system and control system and control system, feeding system to form a kind of special extruding, granulation and shaping processing equipment. 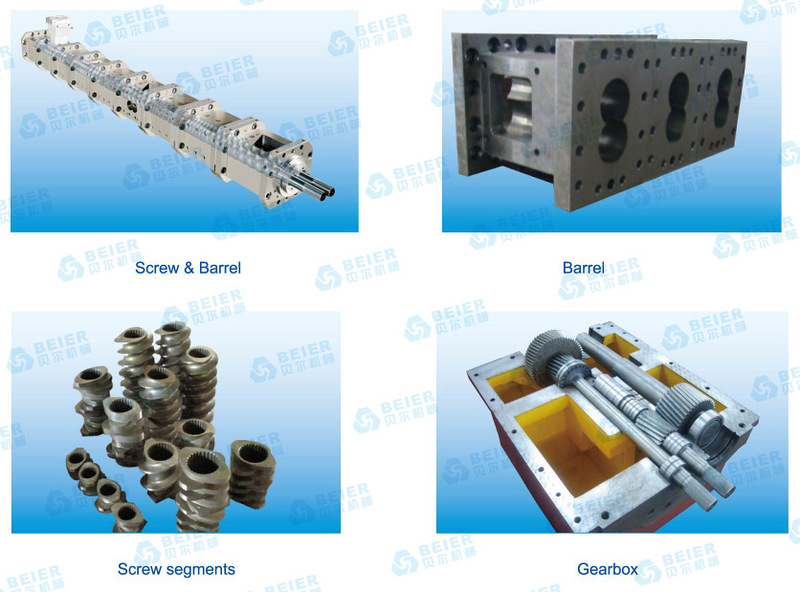 The screw stem and barrel adopt building type design principle to change the length of the barrel, choose different screw stem parts to assemble the line according to material characteristics, so as to get the best work condition and max function. Because it has good mixing, separating, dewatering and self-cleaning functions to avoid the materials wrapping the axle, caking in the extruding process. With the rotation of the screw, the surface of the materials continuously change, helps the volatile matter dewater, treat, and etc.